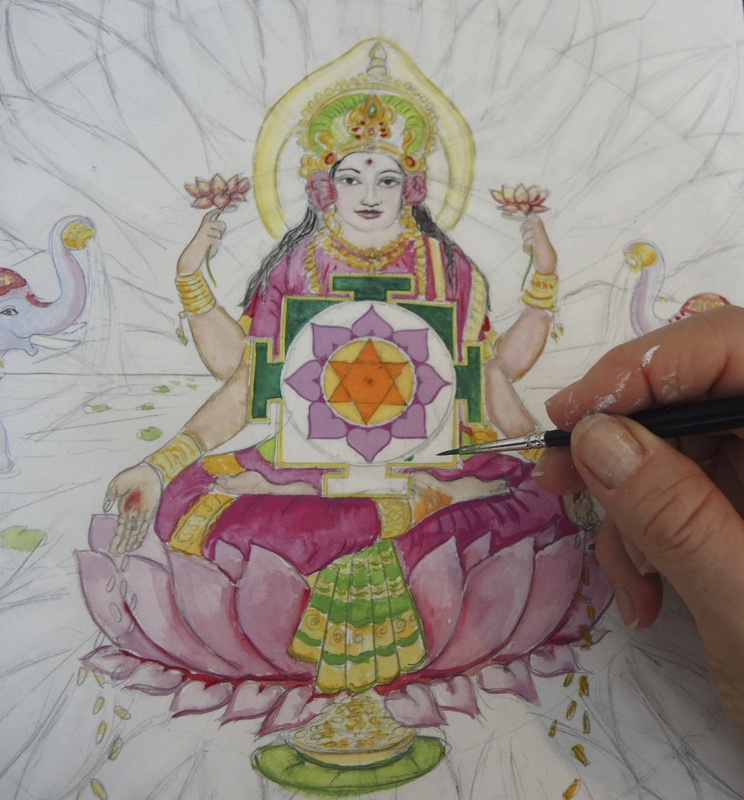 It was with great joy, reverence and excitement to, after working on and off for a few months, add the final dot of paint (the bindu) to my Lakshmi painting this week. In the Hindu tradition Lakshmi (or Mahalakshmi) is the goddess of abundance, beauty, light and good fortune. She brings wealth to both the physical and spiritual worlds. 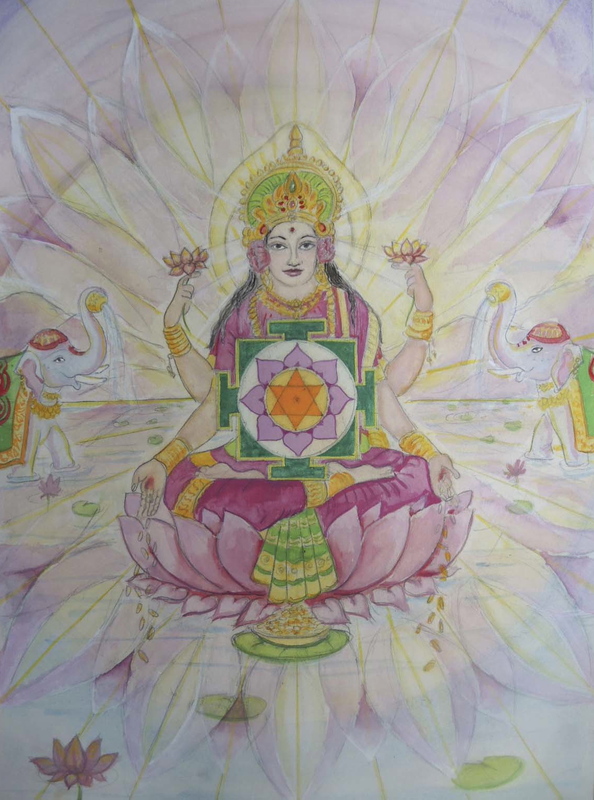 Lakshmi is the divine partner of Lord Vishnu, giving him the wealth needed for sustenance of creation. 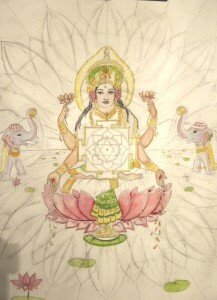 Her two elephants represent the worldly wealth, as does her garment colors of red and gold. 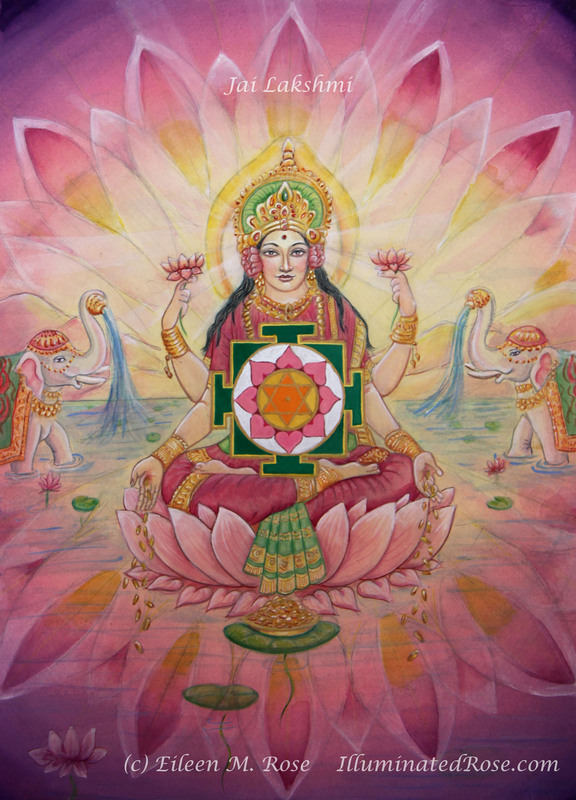 Although many worship Lakshmi for success, legend says that Lakshmi she does not reside long with those that are lazy and are seeking only wealth. 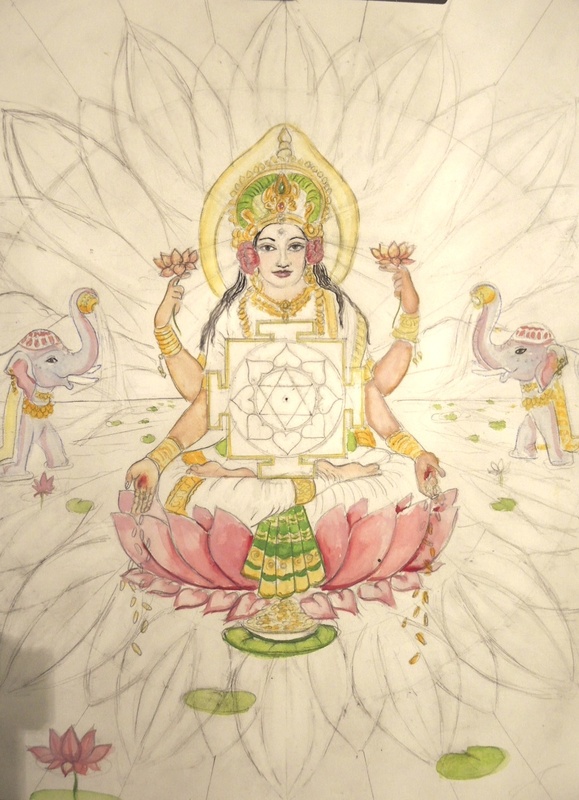 Find more info on Lakshmi here. 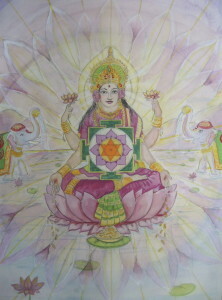 The painting was done in the classic Hindu painting technique of Harish Johari. 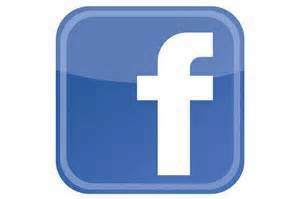 I learned this method from both Pieter Weltvrede and Mavis Gewant, who have kept Johari’s tradition going. Many thanks to them both for without my years of studying with them, I would never have been able to achieve these results.